In observing bicycling across time and space, one finds ample evidence of the wide variety of meanings humans attach to similar practices. Globally, diverse cultural representations of bicycling proliferate, as do its applications as a technology for transporting people and goods. For some, human-powered transportation is a symbol of resourcefulness; for others of backwardness. Because bicycling produces conflicting material and symbolic values, it can be populist and elitist, vernacular and market-oriented, at the same time. For this reason, contemporary US efforts to “normalize” bicycling are exposing rifts in the landscape of urban sustainability. In California, bicycling has been a pastime and mode of transport since the original bicycling boom of the 1890s. Over the years it morphed from elite leisure novelty to an everyman's mobility, and then, after the private automobile supplanted bicycling in that role, it eventually sank into obscurity as kids' play. Friends looking for a good time developed the sport of mountain biking in Marin County in the 1970s, and other friends looking for a good time developed the “bike kitchen” bicycle repair cooperative model in Los Angeles and San Francisco in the 2000s. Besides fun and popular education, since the 1970s bicycle communities have also coalesced around the common experience of feeling unsafe while riding lawfully on public, car-dominated roads. This became the message of the monthly Critical Mass rides that started in San Francisco in 1992, spawning solidarity rides across the world. 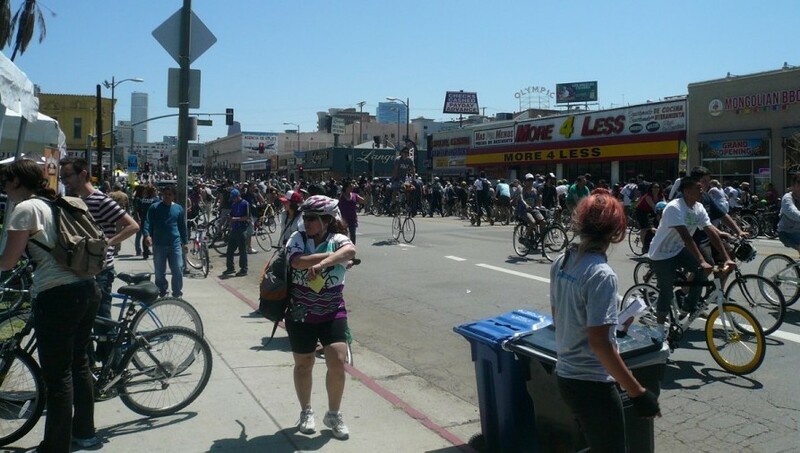 Taking over streets with a flood of bicycling bodies, Critical Mass makes a justice-oriented statement about public ownership of those streets that some find liberating and others find juvenile. Its growth also energized efforts to change street interactions through policy and planning campaigns at places like the San Francisco Bicycle Coalition and the Los Angeles County Bicycle Coalition. Despite those earlier ties to Critical Mass's direct action model, today, most bicycle advocacy activity is oriented toward accessing public funding that can pay for street infrastructure projects and other legislative approaches. One central goal is to enable more bicycle usage through improved and expanded bicycle infrastructure. However, in the context of the upscaling of urban areas and the growing popularity of bicycling for the middle class, an unintended consequence of these infrastructural investments has been to drive up local real estate values—something bike advocates have either ignored as an externality, or in some cases touted as a perk.1 For this reason, bike infrastructure in the United States today—often promoted and designed by private firms but publicly financed—is a prime example of market-oriented sustainability, and with it, the tendency toward environmental gentrification. 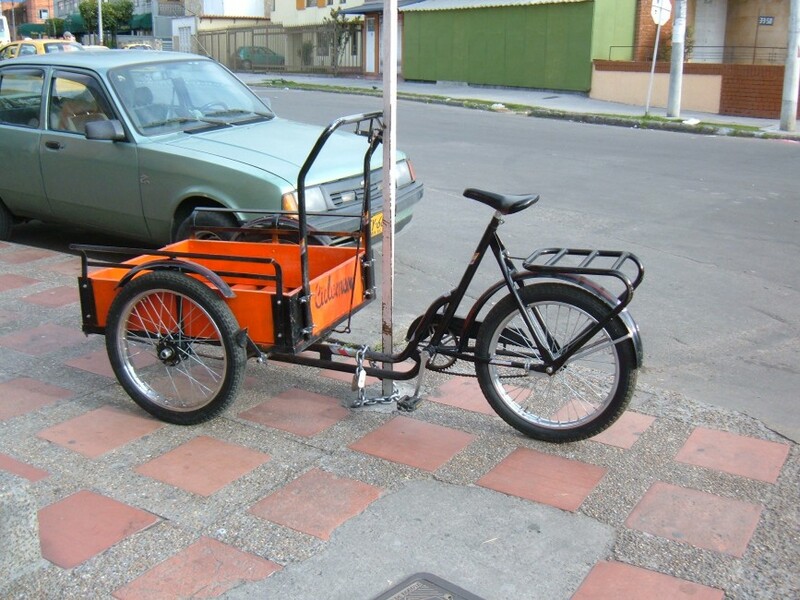 Yet at the same time, bicycles themselves are tools activists use in the service of social justice work and that low-income people use for transportation. How did such a cheap, simple machine become a potent symbol of new-urban value? It appears that bicycling's association with reverse white flight—attracting suburbanites and capital back to the city center—resulted from a lack of coordination between the movements working to make cities green and the movements to make economies just. This can be explained in part by limitations inherent in what I will playfully call the “spokespeople” paradigm. Researchers have explored the sociotechnical paradigms and historical contingencies that shaped the invention of bicycling machines, and I use the paradigm concept to understand how bicycle advocates reproduce a dominant perspective on bicycling.2 Like spokes converging on a central hub to strengthen a bike wheel, spokespeople have been uniting since the 1990s for what they see as a greater cause. They operate with an emotional urgency born of their own experiences feeling under attack while riding, though they try to make their case with as many quantitative measures as possible. They hold bicycling dear, and they usually subscribe to what sociologist Dave Horton has called “the powerful green cultural code that the car is bad and the bicycle good.”3 For them, bicycling is a matter of identity, and they feel threatened by outlying perspectives on it. This normative impulse limits what bicycle promotion strategies can fit within the spokespeople paradigm. Usually white, male, and middle-class, these spokespeople operate in the politico-technical layers between street use and street design. This is because riding a bike in unfriendly streets might be the only discordant note struck in their otherwise tuneful lives of privilege, and they look to the state they trust to fix their problem. Plenty of women, people of color, and queer folk participate in bicycle advocacy, but while studying the growth of a “bike equity” turn in bicycle advocacy, I found that the paradigm tends to have exclusionary effects and silence dissent within spokespeople's ranks. The effect is a rather homogeneous outlook, which may be what spokespeople see as the most strategic approach to “normalizing” bicycling. However, a broader population may not see value in that vision. And when bicycle infrastructure is deployed as a market-oriented strategy but called a public good, there are concerning effects beyond bicycling. It is unclear whether those of us who operate at the fringes of the spokespeople paradigm will find enough support in it to move bike advocacy beyond the gentrification strategy; meanwhile, people all over the world continue to use bicycling as an everyday transportation solution. 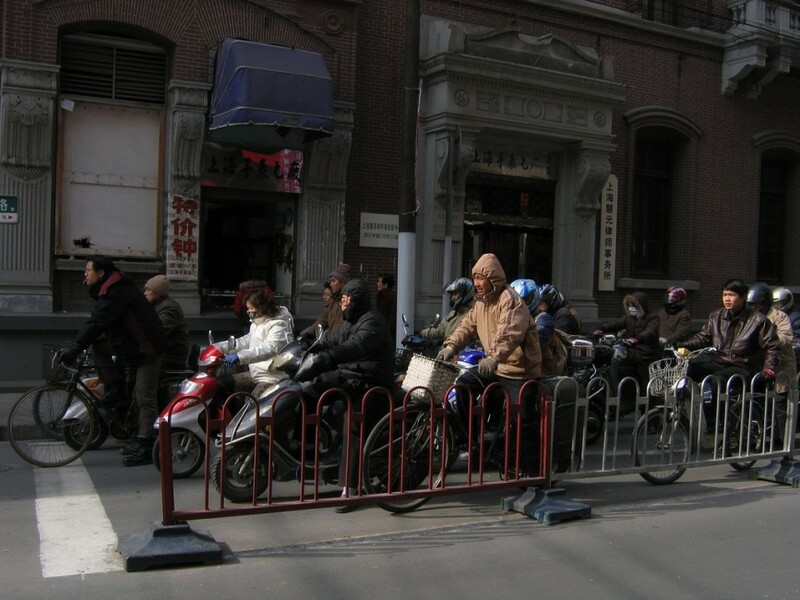 An analysis of bicycling that gets past spokespeople's normative impulse could consider the ways in which different cultures imbue mobility with forms of status, including very negative ones. Sociocultural studies of bicycle users have found the practice of bicycling to be socially produced, because bicycling is best understood as an “assemblage” of bodily ability, social and spatial context, and available technologies. This assemblage character produces experiences of bicycling that may be ecstatic, or resigned, or even terrified, but this diversity of experience is often left out of spokespeople's cultural representations. Compassion for those other realities fuels the growing “bike justice” movement, following the lead of environmental and transportation justice. Some of us believe that bicycling should extend access to urban sustainability, not make it more expensive, and we're organizing projects such as Bicicultures to experiment with new solutions. 1. John Stehlin, “Cycles of Investment: Bicycle Infrastructure, Gentrification, and the Restructuring of the San Francisco Bay Area.” Environment and Planning A 47:1 (2015), 121–137. 2. There is a list of articles and books that focus on bicycling's social construction and cultural meanings on the Bicicultures site. 2. David Horton, “Environmentalism and the Bicycle.” Environmental Politics 15:1 (2006), 41–58.